The Jewish calendar is also of particular importance in the life of the Jewish Messianic communities. The annual cycle of holidays, the cycle of reading the Torah according to weekly chapters – all this is intended to systematize and put in order the spiritual life of the New Testament believer. 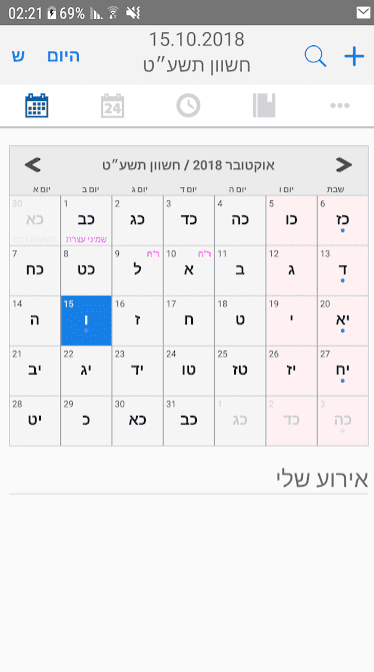 We hope that this selection of Hebrew calendar apps for 2019 will help you keep track of periods of biblical Jewish holidays, holidays of Israel, biblical posts, a schedule of reading weekly chapters of the Torah and some other important dates. 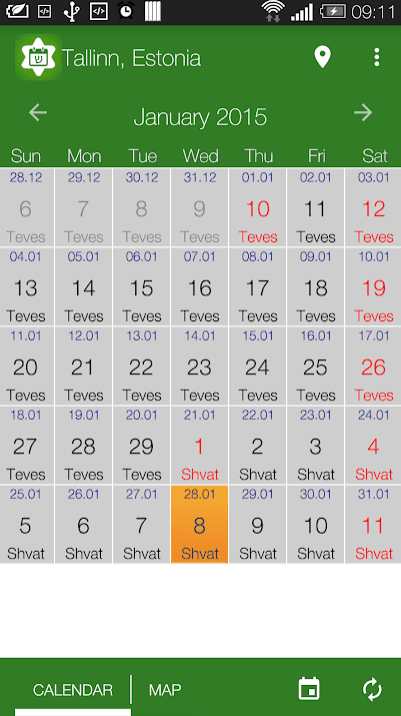 This Android application is the simplest Jewish calendar with Jewish dates and Zmanim. The feature that you’ll like most of all is that you’ll find the nearest minyan, synagogue or a place to daven on the map easily and fast. Your location will be found automatically when you open the app. Or you can choose your location on the map if there’s no Internet connection or GPS function isn’t activated. In settings, you can adjust your calendar display: display time in 12 hours/24 hours format, display Month before day, override TimeZone, display holidays in Israel type, select preferable language and more. 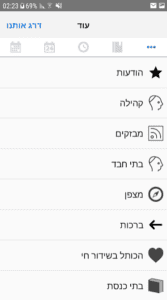 HebDate Hebrew Calendar has got a lot of positive feedback and this isn’t accidental. 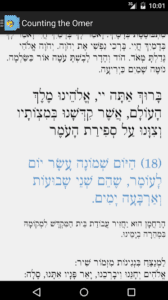 This is a full Jewish & Secular Calendar (Luach) for the Android users. Why is it so popular? First of all, due to its simplicity. You can view day, week, agenda and any date since creation. A widget can also be added to the home screen of your device. You can not just view events but also edit them, set a timer and notifications. 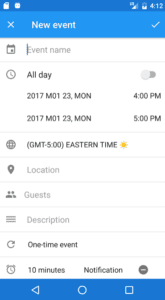 It’s a full Android scheduling calendar available for free. This simple calendar includes all the necessary Jewish data: Jewish holidays, full Siddur, Zmanim. It is fully synchronized with the local calendar. Hebrew Calendar by iEnd Software Development LTD contains compass for prayer direction, Tahara calculator, Bar mitzvah calculator. You can even set reminders here. Here everything is designed for convenient use of the calendar. That’s why it is chosen by thousands of Android users. Join the community too! HebCal & Widget is a smart calendar that displays an entire month with all the Hebrew dates. You can set a widget to the home screen. Just click on it and the full calendar will be opened. Also, it’s available to change a language to show month and weekdays names. You can mark your own events here. You can view Sunrise/Sunset times and Moon phase with a long click on a date. The calendar displays years 1800-2200. Your location can be set automatically or manually. CalJ Jewish Calendar is the last on our list but no less functional than previous Jewish calendars. View dates of holidays, important events and festivals, Shabbat times and so on.